Manufacturing is one of the sectors that is considered as the backbone of the economy. A robust economy is a clear indicator of a fast-growing manufacturing sector. 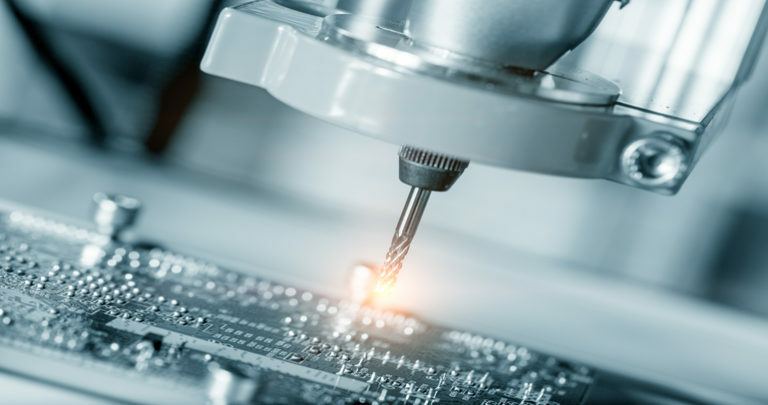 A USD 140 Mn manufacturing client wanted to improve the capacity utilization of its core manufacturing facility that lacked operational efficiency and strategic approach, despite a world-class infrastructure that they had. Our analysis helped us understand the key issues. It was found out that commercial viability is low due to poor capacity utilization against fixed overheads. Also, operation and sales planning were performed in an unstructured manner and plans were unable to provide the right product mix to marketing on time. Lack of focus on quality & rejection resulted in increased market complaints. Our team performed primary and secondary research and designed a three-pronged approach towards triggering and connecting operations effectiveness, people engagement & management infrastructure. The analysis suggested that the company should focus on improving production by applying multiple levels simultaneously e.g. materials, maintenance systems, quality systems, coordination and planning. Also, improvements should be sustained through organizational capacity building and training for the employees. Transformation of manufacturing operations is the key factor for any organisation's growth. After conducting many expert interviews with experienced people in the field, our analysts suggested a lean transformation method to the company which made a step change in plant production by 70% by de-bottlenecking of critical processes in the value stream in terms of Capacity Utilization and Revenue Growth. Also, capacity Utilization of the manufacturing unit improved from 25% to 45% over the past one year. It reduced costs by direct & Indirect cost reduction of USD 1.5 Mn p.a. by power & energy optimization, scrap reduction, manpower utilization and Working Capital reduction by inventory optimization, floor space utilization, lead time reduction. Quality improvement was done which resulted in the reduction of plant rejection from 2.5% to 1.0% for finished goods and a decrease in external rejection by 50% resulted in improved market feedback and brand strengthening. The approach towards lean transformation was made by identifying the opportunity areas across the manufacturing value chain, using lean tools to identify losses. Multiple levers were applied including maintenance systems, quality systems, supply chain optimization and timely implementation tracking of pending issues and de-bottlenecking was done. This helped our analysts to gain transparency on losses, bottlenecks and other key levers and fast-tracking resolution of maintenance and material issues. Also, the root cause problem-solving meeting and implementation tracking got introduced by the company. Our expert team established KPIs, set targets and accountability. We created shop floor visual management for the company and timely performance tracking of business and individual performance against baseline and targets got introduced, which helped our client to assess the performance of their employees. Also, several steps for people engagement like boot camps, workshops, training on lean manufacturing and problem diagnostic tools were suggested by our team which resulted in Employee Motivation and active involvement in problem-solving. The study resulted in the reduction in the cost of conversion by 52%, an annual saving of USD 4 Mn for the client and Increased the production by 70% creating an additional top line of USD 25 Mn. A 64% reduction in internal rejection & 50% reduction in external rejection was also seen within the company.